“Divergent” by Veronica Roth – A Christian review of the book | J.W. Wartick -"Always Have a Reason"
Veronica Roth’s Divergent has been hailed as “the next Hunger Games.” It has hit #1 on the New York Times Bestseller List. The series is on the cutting-edge of young adult literature. Here, I’ll examine the book to explore several themes in relation to worldview within the book. There will, of course, be SPOILERS in what follows. In the world of Divergent, Factions are the way of order. The people of the city of Chicago came together after a cataclysmic event (left largely unexplained in the book) to try to restore order. The thought was that they would split people into various Factions which each held to a certain primary guiding principle to combat evil and wrongdoing. For example, the Candor Faction felt that lies were the primary way in which evil entered the world. Deception was how anger and hatred could be brought into the world again, with dire consequences. Other factions-Abnegation, Erudite, Amity, and Dauntless-follow a similar structure of thought: each is constructed around the notion that a specific weakness led to the destruction of the world. However, Tris, the main character of the book, is Divergent- she does not fit well into any one faction. Those who are divergent are considered dangerous because they are not as fully in line with the thinking of a faction, which makes it harder for them to be conditioned behaviorally to fit into any of the differing paradigms. Thus, they are not only dangerous to the system, but also dangerous to life: they might ruin the system which has protected those inside it. The notion that humans would divide into different groups which each see a certain facet of human nature as dangerous for the thriving of the species is intriguing. It did seem a bit of a stretch for me to believe that people would willingly divide up into such factions and focus on nothing but those aspects of the human psyche, but it helped to drive the plot and it is perhaps more believable in light of Roth’s statement (through Tris, of course) that each faction began to mock even the good aspects of the others. For example, those who were in Dauntless like Tris would often mock the perceived need for Tris to take an extra step to care for others; or they would laugh at the difficulties with telling lies some people had (“You should have been from Candor!”). Human nature in Divergent is shown to be more complex through those who are themselves divergent. They see beyond the narrow limits of each individual faction and are therefore immune to the conditioning others succumb to. Throughout the book, Tris repeats the mantra: Faction before Family. However, the mantra does not play out in reality. Instead, Tris find herself continually longing for her family and the familiarity of her former faction. Although she also finds herself becoming loyal to her new faction, the Dauntless, Tris is ultimately saved by the reunification (however brief) of her family. The theme is rather poignant, for it suggests there is something to the notion that the family is the proper realm of interaction. It’s not that everyone has a perfect family in the “real world,” rather, the point is that in an ideal situation, everyone would have a support structure within a family. This support structure would be a place for ultimate refuge. The book’s cover focuses on choice: it is one choice that defines who you are forever, it says. That choice, of course, is which faction to join. But when push comes to shove, so to speak, towards the end of the book, it turns out that a whole series of choices define you, not just which faction you want to belong to. It is not one choice that defines Tris and the others; it is the choices they make in times of crises, alongside those choices they’ve made throughout their lives, which ultimately determines who they are. The concept of choice in the book resonates alongside the notion of divergence. After all, the Divergent are those who cannot be neatly categorized into any of the factions. Their choices, it seems, have a bit more freedom, or at least freedom from conditioning. I can’t help but think of the choice made in Eden that led to the Fall. Before that fateful choice, humans had a very wide range of choices available to them; afterwards, humans became bound to sin and much more narrow in their vision. In seeking freedom, we became bound; in trying to open more opportunities, we limited them. Divergent is a very interesting book written by a woman who professes her Christian faith. The book is very dark at times and there are many more themes I could explore. The interest in “choice” and “divergence” related to human nature and sin is fascinating to me. I’m interested to hear your own thoughts on the issue, so be sure to leave a comment below! Divergent– Anthony Weber over at Empires and Mangers, one of my favorite sites (and one you should follow! 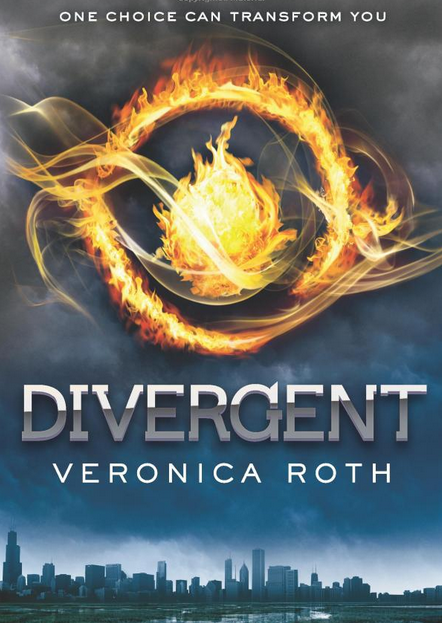 ), reviewed the YA Book Divergent. He examined it from a worldview perspective. The book is being made into a major motion picture and has been hailed by some as the “next Hunger Games.” That means we’re going to run into it everywhere. What questions can we bring to the table? There are SPOILERS in this linked post. Be sure to check out my other looks into popular books (scroll down for more posts). Veronica Roth, Divergent (New York: Katherine Tegen Books, 2012). « Sunday Quote!- A Disconnect Between Parchment and Pew? Great review of Divergent! I enjoyed Divergent and just finished Insurgent. It seemed to me to be along the lines of Hunger Games meets Harry Potter. I didn’t miss the darker worldview of The Hunger Games – but I did miss the presence of fully developed adult characters that are found in HP. I am encouraged to see another series with a female protagonist who is portrayed as smart, strong, and a person of character. Tris does seem more mature than would be expected of a 16-year-old, but that’s not a bad thing! Yes I quite enjoyed the book but I have to say that I was surprised. I went in (mistakenly) with assumptions from the movie trailer thinking it would be one way, but the book itself was quite different. I look forward to reading the rest of the series. Very interesting review. I never thought about looking at the book through a Christian lens. Thanks for sharing your thoughts! Something I always say is that “Every movie has a worldview.” The same applies to books, so I think it is important to view each through the lens of worldview to see what it is teaching. It also helps reading comprehension and (at least for me) enjoyment! Thanks for this. My son picked it up and I knew nothing about the plot or the writer. I had no idea the author professes Christianity. especially since they already possess God’s Spirit inside, which gives them every one of the factions already functioning within them, like kindness, courage, forgiveness, strength, honesty, purity, truthfulness. A Divergent would NOT fit with any one faction for a true Divergent possesses them all because Christ lives inside them. Hi J.W I was just looking for a review of this series as some of my students have been talking about the film. I found this one and then saw your name attached to it. I don’t know if you remember me but I was in the MA with you at Biola. I’m the mad Aussie. Anyway, thanks for the review. I had no idea the author was a Christian. I saw the first film the other day and I am listening to the second book on audio. I thought the ideas seemed to have that Christian feel to them, but no more than the average film made in the west. I will have to give these a read and see about pulling them apart in English class. Cheers mate. I think you’ll find even more themes in the later books. I really enjoyed them all and I liked the first movie as well. I should write up some posts on the other ones but time is not on my side. And yes, I do remember you! It was great to be at Biola with ya! Hope all is well.